When it comes time to install a custom mantle for your fireplace, there are a variety of options to choose from depending on if you want wood, metal or a composite material. National guidelines that recommend how high you should install your mantle, but personal preference as well as the local county codes dictated by your fire protection agency can also influence your decision in regards to how high you install your mantle. The average height of your fireplace mantle depends on a few factors. The average height for a fireplace mantle varies by personal preference as well as locality. As a general rule they range between 50 and 60 inches, but are a number of factors can influence the actual height, ranging from the type of stove or fireplace you are installing to the material your mantle is created from, plus national and local fire codes. The National Fire Code established by the National Fire Protection Agency suggests that your mantle needs to be at least one inch away from the edge of the firebox for every 1/8-inch the mantle sticks out from the wall. 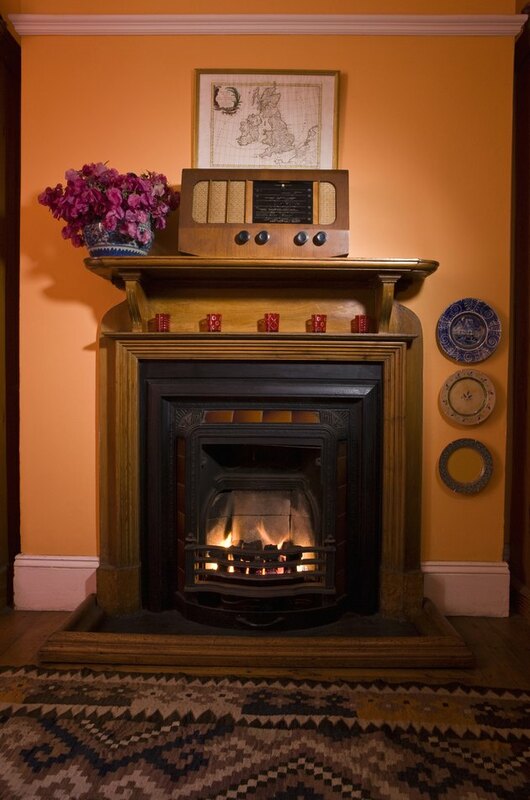 If you have a 6-inch-deep mantle, your mantle needs to be at least 48 inches above the firebox portion of the fireplace, for example. While you can install mantles higher than the guidelines, you cannot install them lower and still be within national safety protocol. As such, there is some flexibility with personal preference when it comes to the height of your mantle.The average height ranges between 50 and 60 inches because as a general rule mantles are never lower than 50 inches, but they can be above 60 depending on what look and feel you are going for in your house. Local guidelines vary by city, county and state and depend on if you are installing a wood fireplace, a pellet fireplace, a gas fireplace or otherwise. The material your mantle is constructed from can also influence the local restrictions. As long as you adhere to the national guidelines for mantle installations you should be within local guidelines, but if you are in doubt you can contact your local fire protection agency to check on any local restrictions.